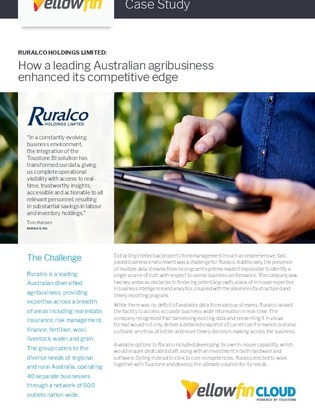 Ruralco is a leading Australian diversified agribusiness that struggled to access accurate business-wide information in real-time. The company wanted to gain better control of their data and be able to present it visually to get a detailed snapshot of performance. This case study details Ruralco’s decision to implement a BI platform to improve on core business reporting competencies.